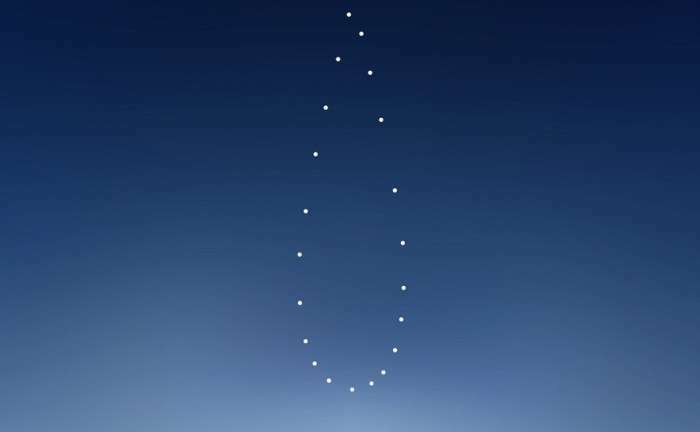 "A combination of the Earth's 23.5 degree tilt and its slightly elliptical orbit combine to generate this figure "8" pattern of where the Sun would appear at the same time throughout the year," said Petricca. 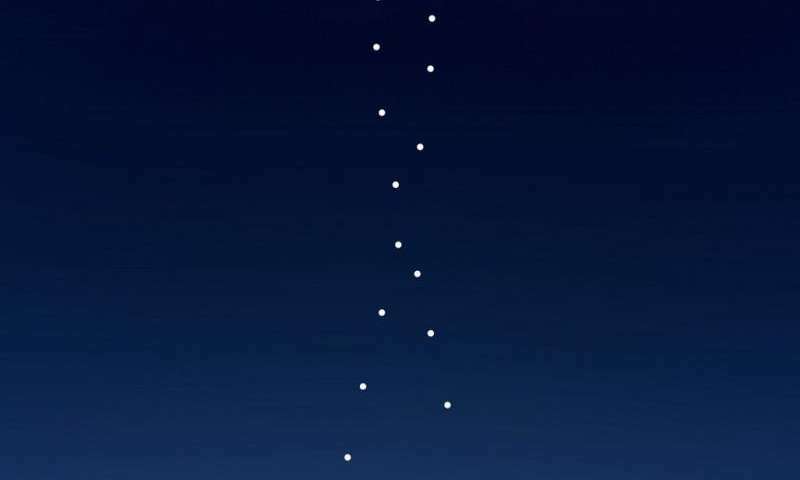 It is interesting to note that analemmas viewed from different Earth latitudes have slightly different shapes, as well as analemmas created at different times of the day. 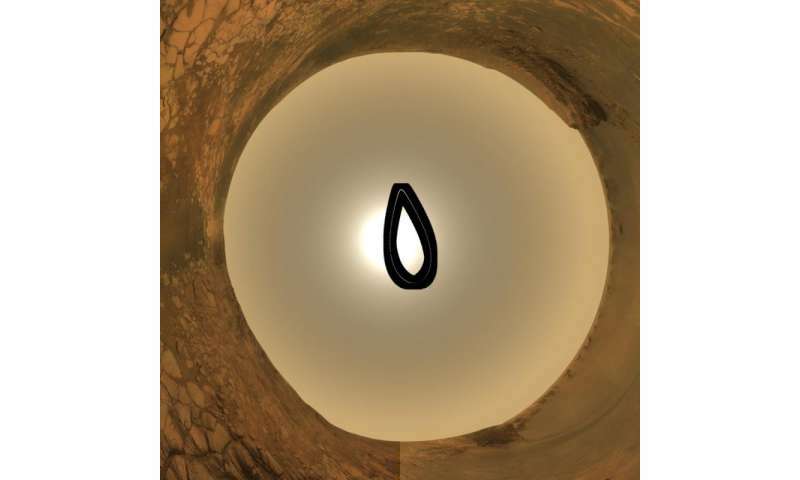 Also, analemmas on the other planets have different shapes. If the Earth were not tilted, and if its orbit around the Sun were perfectly circular, then the Sun would appear in the same place in the sky throughout the year. But then, we also wouldn't have seasonal change, so I vote to keep axial tilt! Petricca combined 32 pictures of the Sun taken at 12pm local time throughout the months and seasons, all shot with the same settings and exposure times (ISO 100, f/8.0 and 1/1000″ exposure time). "I was lucky to have the last year with good sunny skies at the right times, even if some months were really difficult to image," he explained via email. "The background view is the one from the first picture, January 4th, 2015, after three days of snow." Petricca used a Nikon Coolpix P90 Bridge Camera mounted on a fixed tripod, with images taken from a field nearby his home Sulmona, Abruzzo, Central Italy. 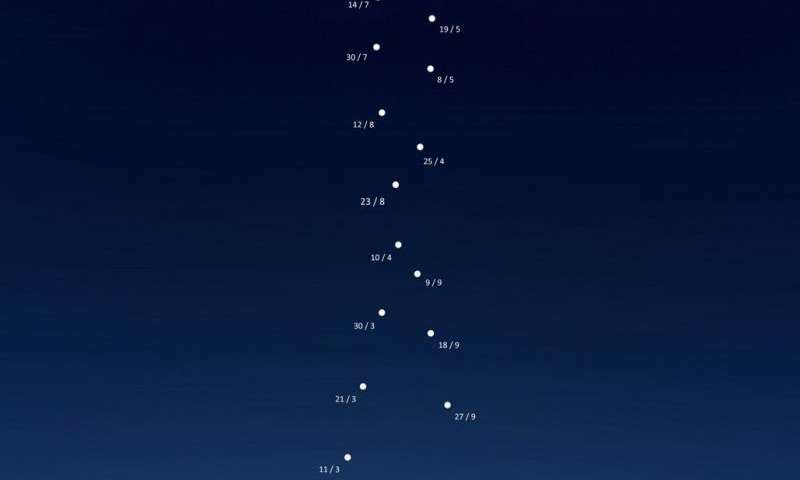 "To take pictures of the solar disk I used an Astrosolar filter in front of the camera, then I composed the analemma digitally, via Photoshop CC," he said.